Before James Murphy was the mastermind behind LCD Soundsystem, which went out in a blaze of dance-rock glory last spring, he semi-famously turned down a chance to write for Seinfeld. Now that he’s free from the album-cycle grind, the DFA Records boss is using his newfound time to demonstrate why he might have done pretty well for himself if he’d stuck to dreaming up scripts for the “show about nothing.” The latest evidence comes from a recent talk Murphy had with David Byrne at Yale, which you can now hear thanks to WNYC’s Soundcheck (via Gothamist). You know the beeping sound New York City subway turnstiles make? If you’re like us, you probably always tuned it out, or else you were wearing huge headphones so you could barely hear anything anyway (which we realize might not be technically advisable on account of safety concerns — sorry, Mom). But if you’re like Murphy, as he revealed in his talk with Byrne, you hear the beeps! And they’re annoying! And not only that, you notice how they’re musically discordant with the beeps from the turnstiles next to them! It’s gold, James! Gold! And we’re sure the MTA is going to put these suggestions into effect immediately. In all seriousness, though, video proof does suggest we should be more irritated by the turnstile beeps than we ever remember being, and it’s great to see Murphy directing his gifts toward beautifying public spaces rather than, like, just obsessing about making his own home more opulent or something. It’s also a thrill to see Murphy out and about again, whether talking with an art-rock legend like Byrne or spinning records for a worldwide streaming audience in London’s Boiler Room. 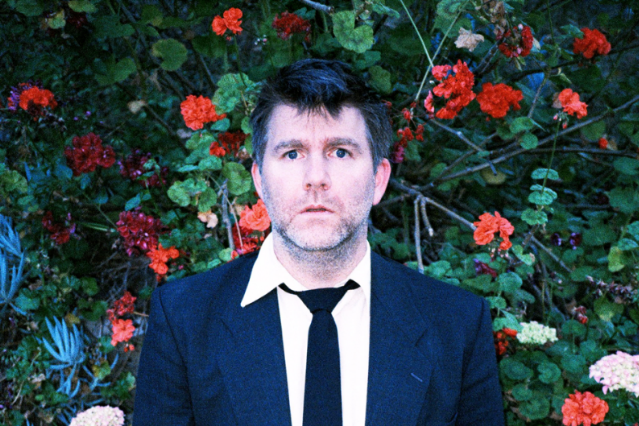 As we await our Record Store Day pre-order of LCD’s newly reissued “Losing My Edge” 12″, however, we can’t help but hope one of our favorite artists of the past decade will someday want to get back to doing what he does best. And that’s making music, which, OK, might include creating tones for subway turnstiles, but he’s shown such a skill for moving crowds of people that it’s hard as a fan to see him let that slip away. What if George Costanza had founded a hugely acclaimed band and produced plenty of great records, but all he wanted to do was talk about “moops” and “jerk stores”? It would mean, we suppose, there would be no soup for us.